A martial art that is welcoming to all that are willing to learn. Aikido (合気道) is a traditional Japanese martial art with its origins dating back nearly a thousand years to the early days of Daito-ryu Aiki-jujutsu (大東流柔術). Aikido is the martial art of the Tokyo Riot police and is taught to all Tokyo policewomen as self defence. Here at Seiryukan (清流館) we are members of Renshinkai Aikido Japan (合気道錬身会) and follow the teachings of Tsutomu Chida Sensei with close links and regular visits to Japan. Soke Chida Sensei was Gozo Shioda’s (塩田 剛三) longest serving uchi-deshi an apprenticeship served living and training in the dojo full time. From this and his continued long training he has developed a teaching style that offers clear concise teaching without the chance of misinterpretation. We run our club under the same principles as Renshinkai Japan spreading the teachings of Gozo Shioda (塩田 剛三) as a non profit club. The founder and creator of Aikido, who studied many martial arts as a young man before studying Daito-ryu Aiki-jujutsu and later in his life refining it to Aikido. 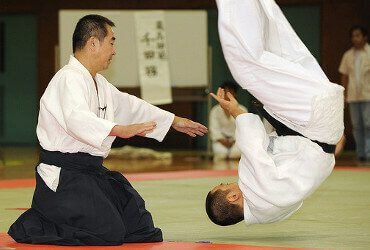 The Aikido he developed consists of entering and turning movements that redirect the momentum of an opponent’s attack. 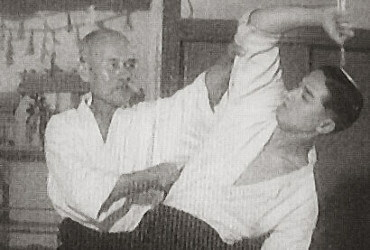 A top uchi-deshi to Gozo Shioda with the longest career at the Yoshinkan Hombu Dojo. 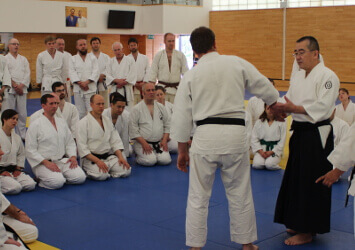 He remains faithful to Gozo Shioda’s teaching and is working hard to pass the techniques and spirit he inherited on to the next generation of Aikido students and teachers.